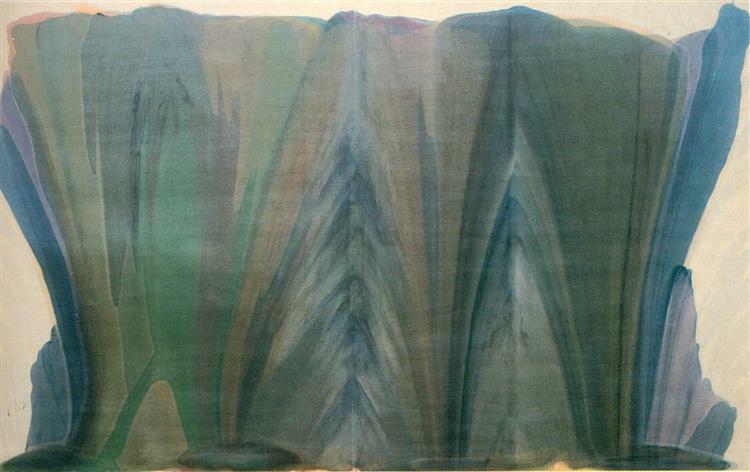 An iconic work in Morris Louis' oeuvre, "Where" represents the culmination of a "theme" that started with the "Veil" series. 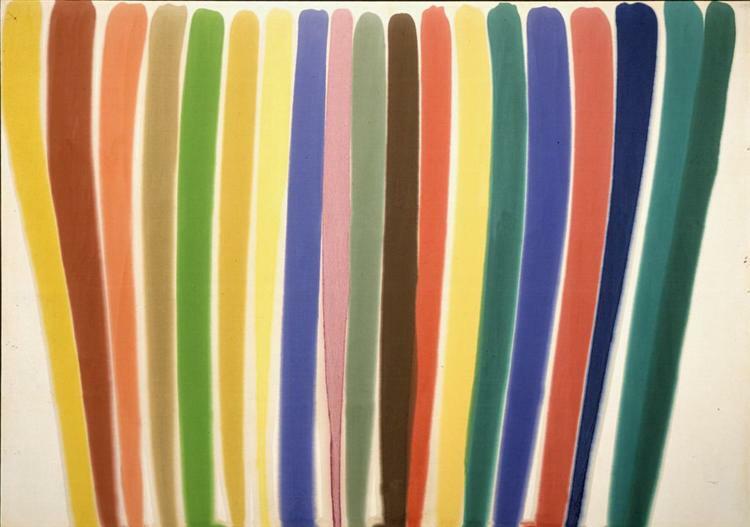 The stripes of pure, flat color (like a reconfigured rainbow) were in his earlier paintings hidden by a "veil" of paint, most often black and at times semi-transparent, being revealed only at the top edge of the painting. 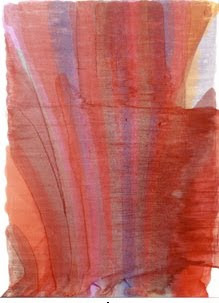 In slightly later paintings, such as "Floral V", the "veil" beings to be eliminated, only to be completely suppressed in "Where". 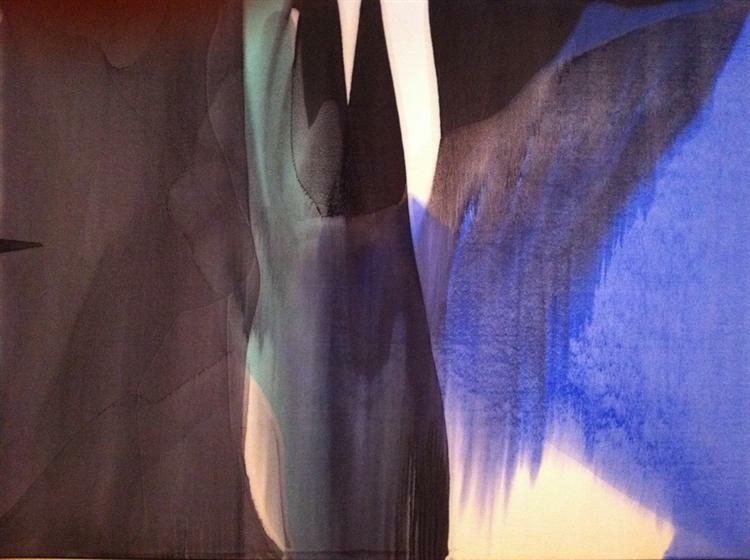 The artist's intentions and methods of pouring the magna paint on canvas are not entirely known (not even his wife has seen him painting, as he used to paint before her wife returned from work). 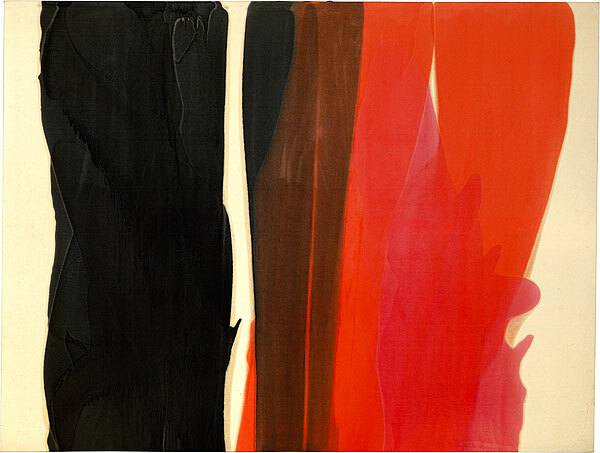 However, as art critic Clement Greenberg has suggested, Morris Louis, rejecting the dense surfaces and chaotic compositions of "action painting" as well as the dark tones of Rothko and Clyfford Still, preferred "openness" and "clarity". 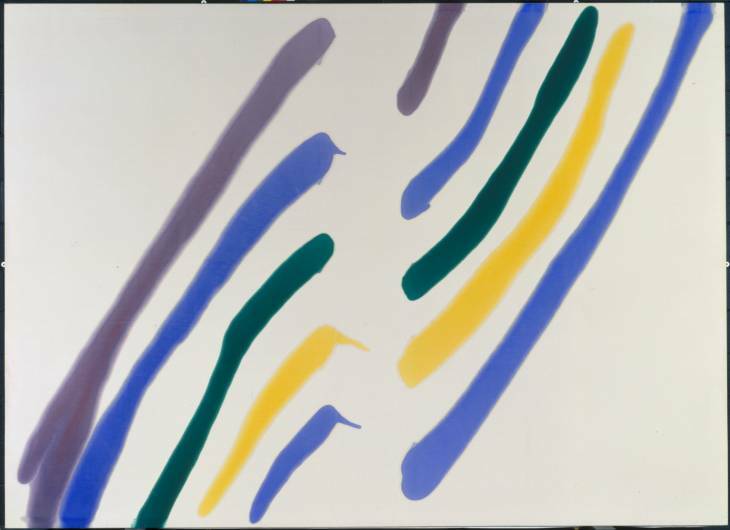 In general, Color Field painters' performance was to make color the very subject of their paintings. 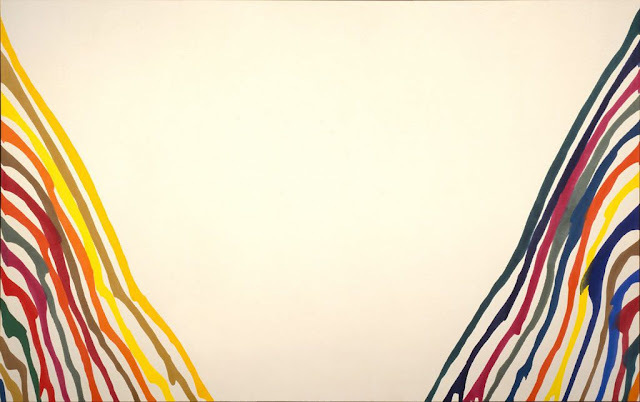 However, while certain painters such as Frank Stella and Ellsworth Kelly favored hard edges and systemic compositions, Morris Louis, even in his last "column" and "stripe" paintings (which used unmixed color, a tactic that further decreased the involvement of the painter's hand), couldn't be considered completely impersonal, thanks to the playful ends of some "pillars" and, in general, the vibrant colors the artist has chosen. 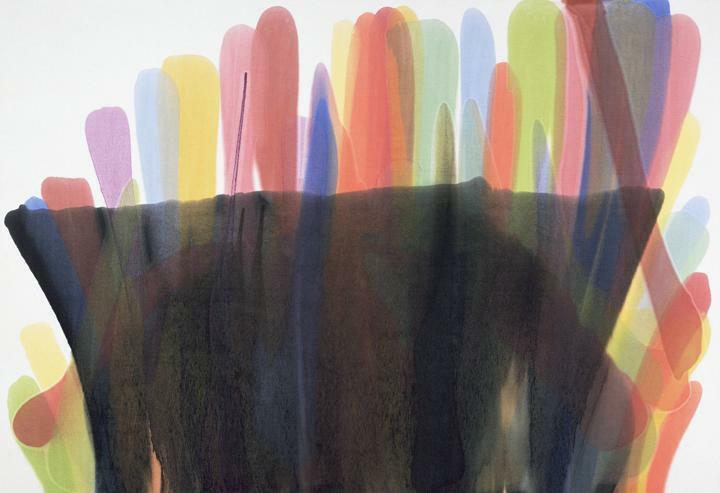 Greenberg once written about Louis: "He began to feel, think and conceive almost exclusively in terms of open color."